In Part 1 of the ‘preparing for school’ series, we focused our attention on themes relating to new beginnings and gentle steps towards independence and new friendships. 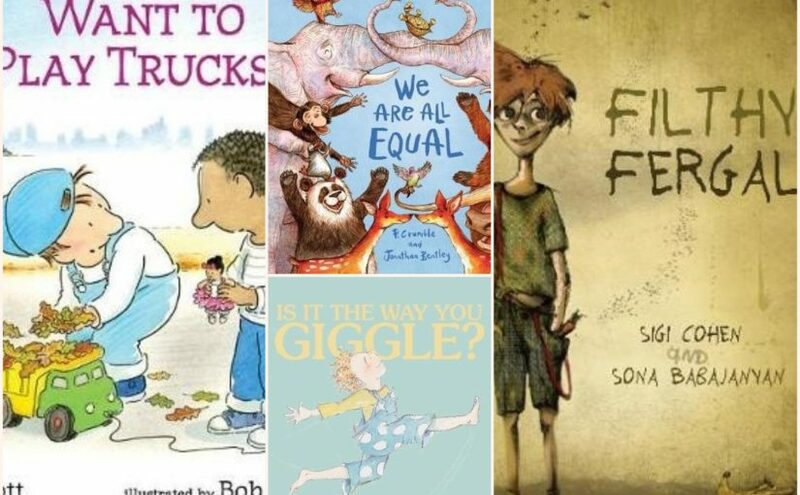 This post will include picture books with beautifully heartwarming sentiments of embracing our own and others’ individuality, uniqueness and personal preferences, what makes us human and advocating for equality. A value-driven start to the new year will set us all up for a peaceful, harmonious future. 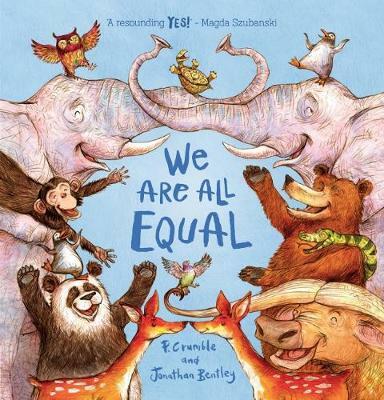 Beginning with P. Crumble and Jonathan Bentley’s new release; We Are All Equal, this issue-based, prevalent topic in today’s society is a terrific resource to introduce to youngsters right from the get-go. Actress, comedian and LGBTQIA rights activist, Magda Szubanski, gives it “A resounding YES!” Here’s a book that truly celebrates the richness of difference and the reinforcement of equality despite lifestyle, origin, wealth, ability, size, shape, or gender or sexuality preference. We Are All Equal uses its gorgeous illustrations of a range of animals to highlight our wonderful diversity without preaching didactic messages. Rather, it phrases each rhyming verse gently and with the opening of “We are all EQUAL…” It dispels the idea of bullying and performance-based pressures, and focuses on sharing our hopes and dreams, pride and sense of community. A must-read for children and adults globally. Ann Stott and Bob Graham address another current topic of today in Want to Play Trucks?. Acceptance, compromise and negotiation are all qualities that make the friendship between Jack and Alex so special. 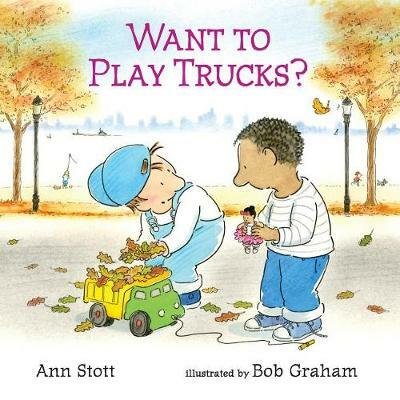 Here are two boys with differing preferences that encourage us as readers to challenge common gender stereotypes. They are excellent role models for our young children who may come to the playground with already-formed preconceptions on what is ‘typical’ behaviour. The narrative involves heavy dialogue between Jack, who likes noise, action and danger, and Alex, who enjoys “dolls that dance and wear tutus”. Graham further reinforces the notion of ‘getting along’ in this diverse environment with his subtle illustrative references to culture, ability and lifestyle in and around the sandpit setting. Want to Play Trucks? shows us a very raw and real look into a non-stereotypical world of imagination and pretend play. Recommended for pre-schoolers and beyond. The pairing of Nicola Connelly and Annie White come together again following the gorgeous My Dad is a Bear in this fun, light-hearted tale of diversity and inclusivity; it’s Is It The Way You Giggle? This is a sweet rhyming story with whimsical, soft-palette and energetic illustrations that ooze with the magical essence of joy in childhood. The narrative begs a thousand questions for the reader to ponder, beginning (and ending) with the essential premise – “What makes you special?” There are a multitude of qualities, skills and characteristics that make us all unique, and this book is a beautiful discussion starter to have with your little one upon entering the journey of new experiences – to be able to be proud of and confident in who they are, as well as recognising and welcoming the similarities and differences in others. From the colours of your eyes or skin, to the shape of your ears, the things you enjoy like singing and dancing, the way you giggle or wiggle, your interests in painting, writing, reading or swimming, or how you love your family. Big, small, common or quirky, this book allows us the freedom and celebration of being unique. 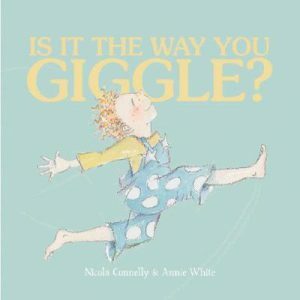 Is It The Way You Giggle? 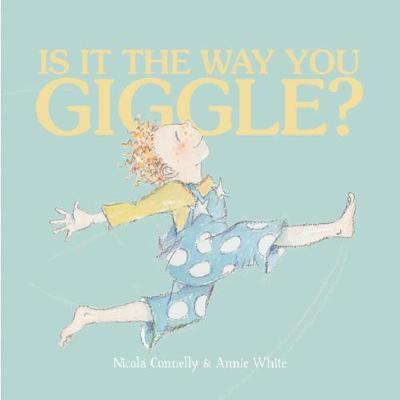 is a feel-good story for preschool-aged children that will certainly bring a smile to their face. New Frontier Publishing, April 2018. Filthy Fergal comes delivered in a whole league of its own when it comes to books on individuality. 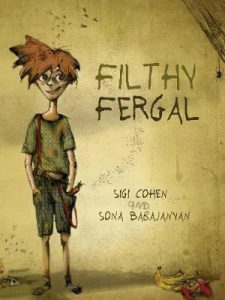 Sigi Cohen of the My Dead Bunny fame, together with illustrator, Sona Babajanyan, unapologetically present this disturbingly witty rhyming tale of a filthy boy thriving in the repugnant squaller of rubbish and flies. In similar vein to the legendary classics of Paul Jennings, through grime and repulsion and gag-worthy moments, there is love and family and an all-important ‘twist’ that aims to melt your heart. The text’s dark humour matches perfectly with the illustrations’ ominous and grungy mixed-media, multi-layered techniques. Filthy Fergal may not overtly promote good hygiene practices, but it does clean up in the areas of exploring belonging, commonality and difference, and being true to yourself. Suitably unsightly for school-aged children. Yellow Brick Books, October 2018.